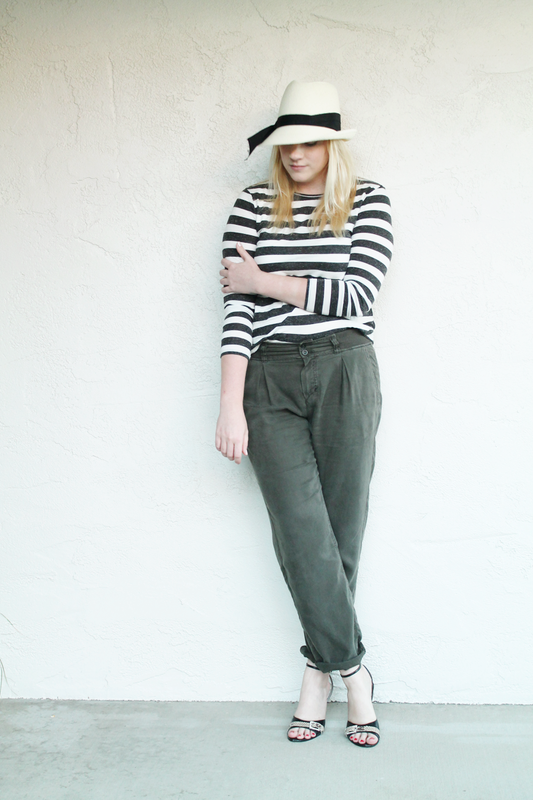 Pretty stripes and baggy pants make for a wonderful lazy Sunday. Adding on a hat doesn't make for a bad decision either. Happy Weekend! 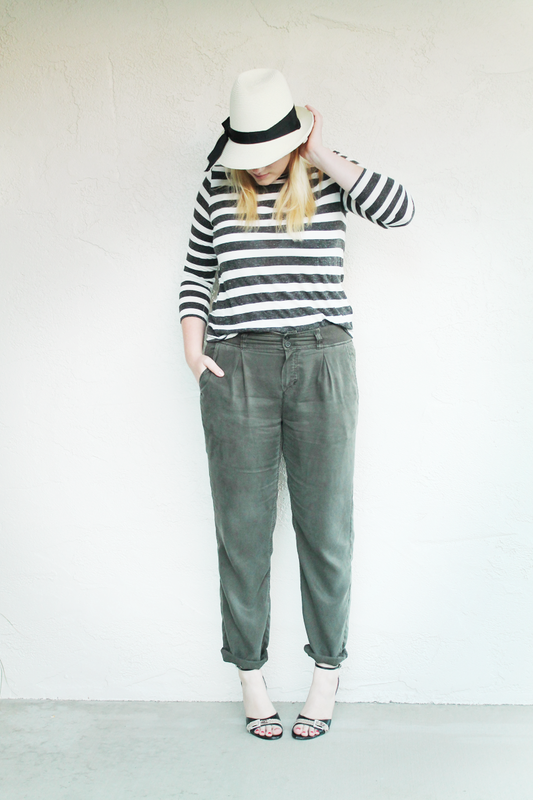 outfit: ribbon trimmed hat, jigsaw; striped l/s tee, forever21; army green lightweight trousers, jigsaw; buckle detailed heels, nine west.